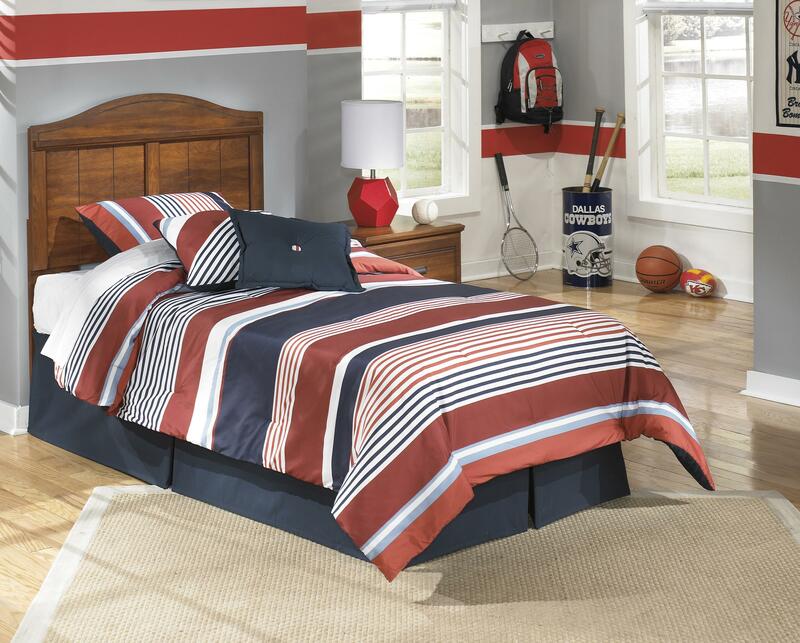 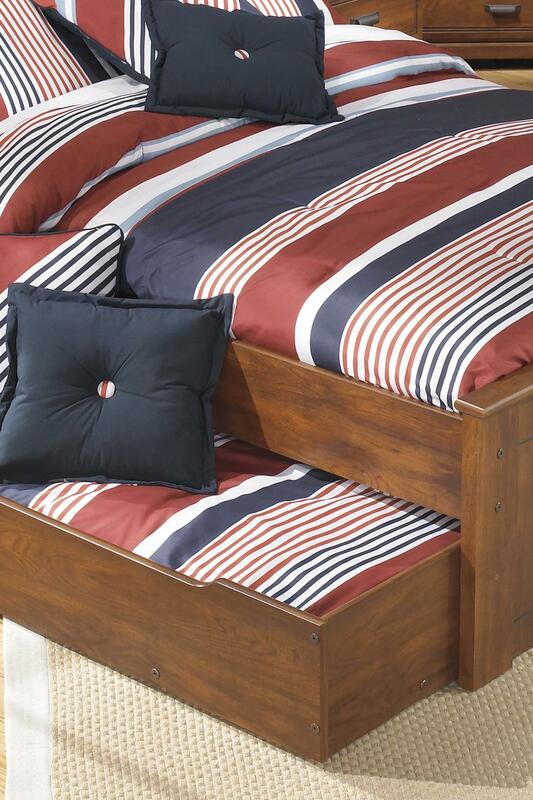 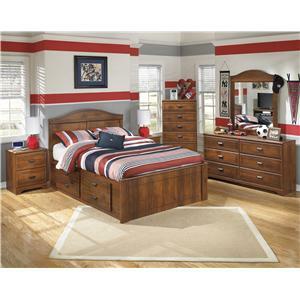 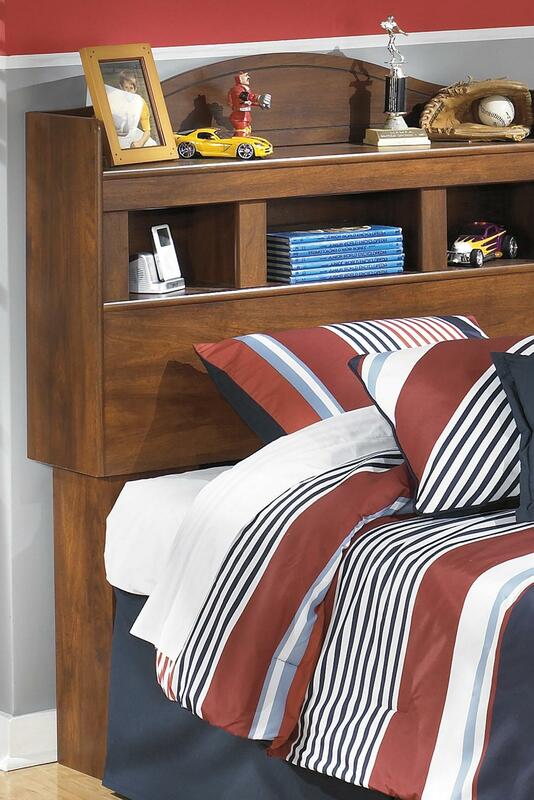 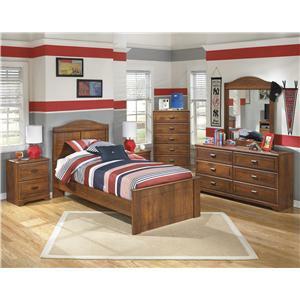 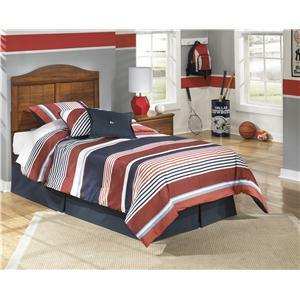 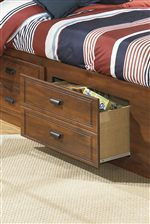 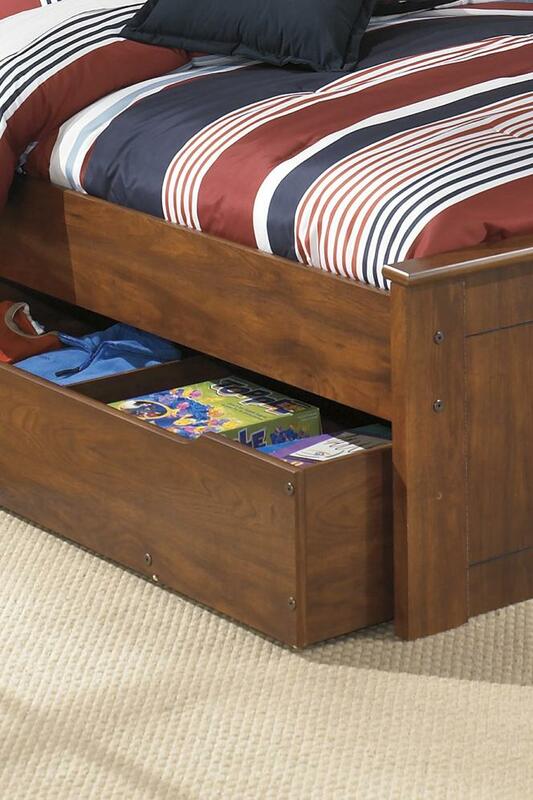 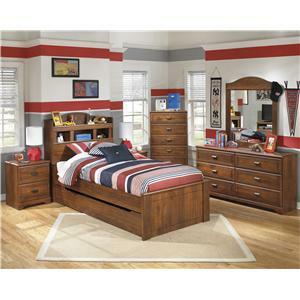 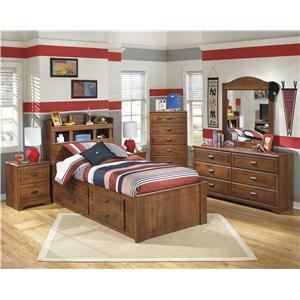 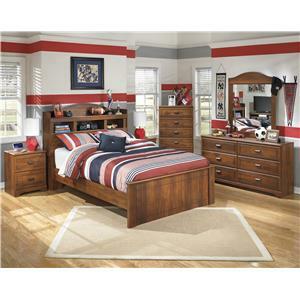 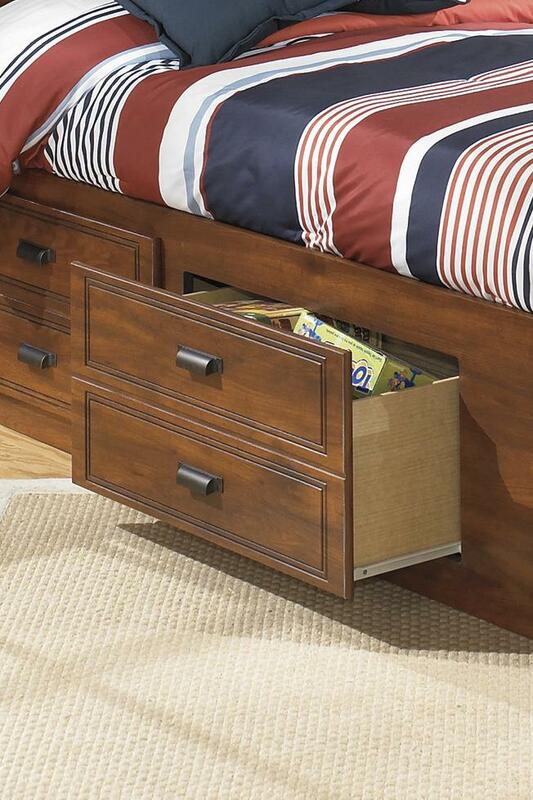 The Hilliard youth bedroom collection gives a kid's room tons of storage options, along with vintage casual style. 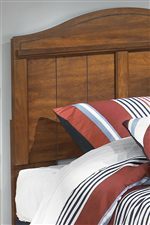 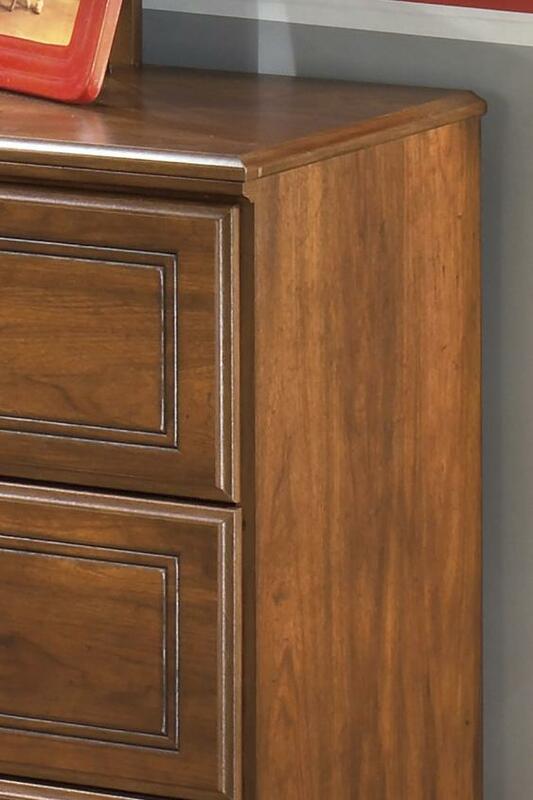 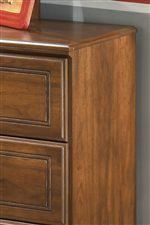 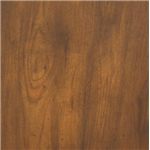 The replicated cherry grain adds homey style to the plank-look arch headboards and the framed drawer fronts on storage pieces. 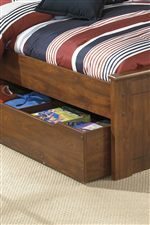 Bracket feet and aged copper color drawer pulls complete the appeal of this bedroom furniture for a boy's room or girl's room.